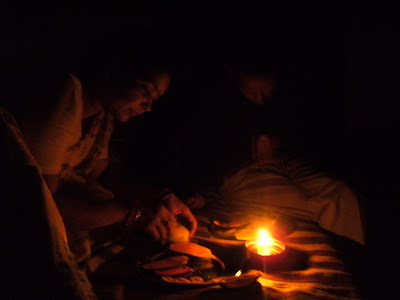 Mom cutting mangoes in candle light. Blurred one is me. Photo courtesy Pavitra.